My current project traces the history of successive generations of urban Muslim Bengali women activists over the second half of the twentieth century. This allows me to examine how they have negotiated their identitiesas Bengali, Pakistani, Bangladeshi, Third World, secular, religious, and Muslimat different moments and how transnational interactions and international interventions have shaped their priorities. This paper focuses on the early decades of the post-WW2 era, an era of decolonization, Cold War rivalries, and the hegemony of modernization ideology. 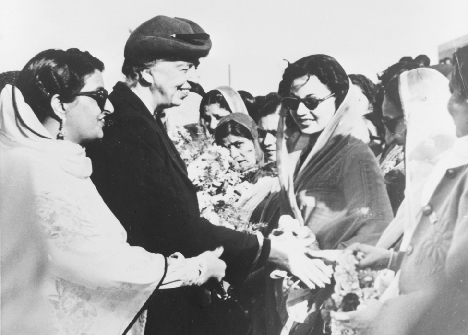 In this period, before the rise of what came to be called second-wave feminism or the emergence of any formal interest in women in development, American policymakers directed special attention to womens issues and womens groups in the Third World, including Pakistan. I analyze the often conflicting ideas of progress and development in play in this era that emerge across, for example, the reports of US foundations, universities, and women's organizations on their programs in East Pakistan; Peace Corps newsletters; articles and letters from readers about international visitors and womens rights in Bengali magazines such as Begum; and the personal memoirs and travelogues of Bengali women activists of that time.